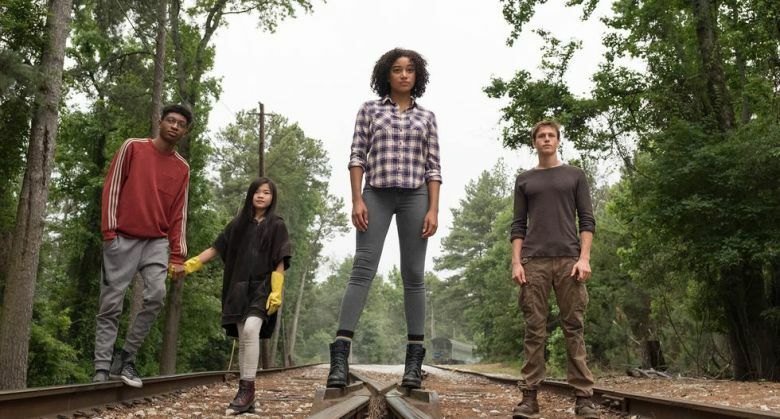 The Darkest Minds is the live-action directorial debut of Jennifer Yuh Nelson (Kung Fu Panda 2 & 3) and is the story of Ruby Daly (Amandla Stenberg), a sixteen year old girl with special abilities she cannot yet control. The setting is a dystopian America where the population of children is nearly completely wiped out due to a relentless plague that kills those who aren’t gifted with these special abilities. 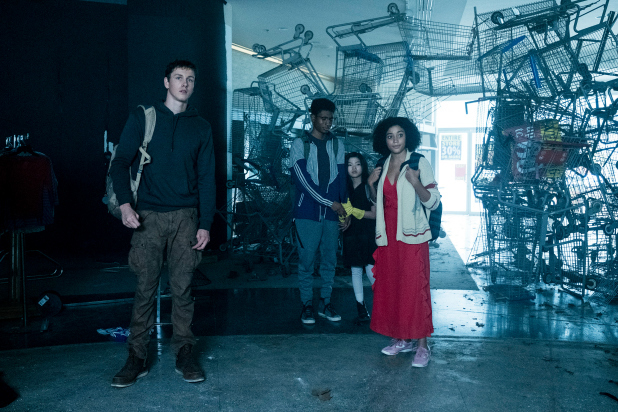 In an attempt for some very quick world building, we learn through some extremely heavy-handed exposition that the kids who survive this wide-spread disease are placed in camps by the government where they are separated by colors depicting the threat level of their powers. The order from least to most dangerous is green, blue, gold, red, orange. We know this because the doctor holds up a chart and basically explains it to the audience and to no one’s surprise, we find our protagonist is an orange and she’s facing termination if she doesn’t break free. So now we have our story – a girl with special powers she cannot control is on the loose and government is after her. There’s a reason Stranger Things is plastered on the poster. Mandy Moore is underused as she makes a couple of brief appearances in the film to aid and recruit Ruby, but even more under-utilized is Bradley Whitford as President Gray who’s dealing with the the possibility of losing his only son in the opening act along with every other parent in the film. Other than seeing him fighting to keep his son alive in any way we can, it baffled me that the film completely neglected to explore all the other parents in the film as they gave up their children to government camps. “You either die or you’re placed in camps” we’re told, but you’re telling me there aren’t any factions of parents out there who are willing to fight for their children? Come on, now. The story often makes little sense, if any, and consists of several convenient plot devices to keep it moving. Ruby begins a journey back home to reunite with her parents, which probably isn’t the smartest idea considering that’s the first place the government is going to look for her, but again – something that’s never addressed or explained to her by anyone along the way. 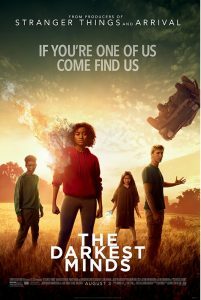 She meets some other runaways on her journey led by a boy named Liam (Harris Dickinson) who becomes the love interest despite lacking any real charm or chemistry with Ruby. Through him, she learns that there’s a super-secret kid refugee camp hidden away that they’re trying to get to for safety. Who’s the ringleader at this camp? You’ll probably figure out just as quickly as I did, should you see the film. There’s some action along the way, but nothing memorable in the slightest. Gwendoline Christie has an odd cameo as a bounty hunter out to collect rewards on the heads of escapee children. The song choices overlaying scenes throughout the film never quite matched the tone in which the film was presenting and made each scene in which it was present almost laughable. To be honest, I think the dystopian young adult film genre has run its course. After the massive (and deserving) success of The Hunger Games franchise, studios began pumping out more and more franchises trying to replicate that success. 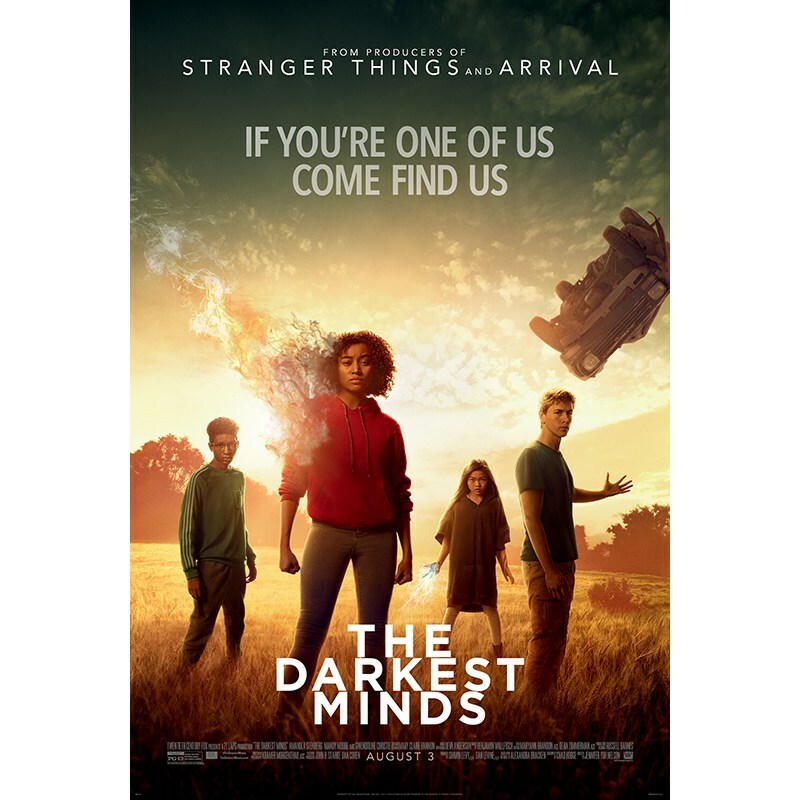 While franchises such as Divergent and The Maze Runner specifically never quite clicked with audiences, I feel The Darkest Minds never quite reached the starting line. At the end, the film felt like one giant build up for the start of a franchise, and considering it’s adapted from a six-part book series of the same name, I think the studio is expecting it to continue as such. I just can’t imagine something that felt as uninspired as this film can venture on to produce more, but with a rather small $34 million dollar budget, they just might depending on the returns from this film. I will not be returning, however, and neither may the audience.